Hyundai worked with Eyeview to target specific consumer segments via social media based on buying behavior. LAS VEGAS — As the midsize sedan segment shrinks, marketing precision has become paramount for brands such as Hyundai that have traditionally relied on car sales. 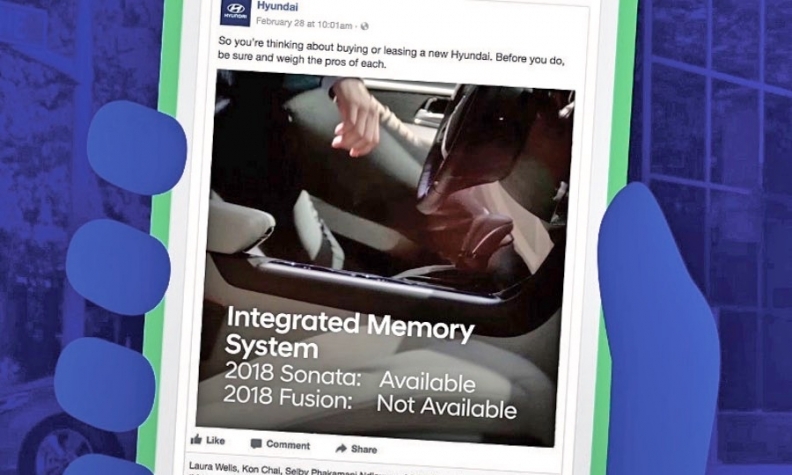 So for a personalized video campaign on Facebook and Instagram to promote the 2018 Sonata, Hyundai couldn't go in with a goal of reaching broad groups such as millennials. It had to go hunting specifically for in-market sedan buyers, a pool that becomes shallower by the year. 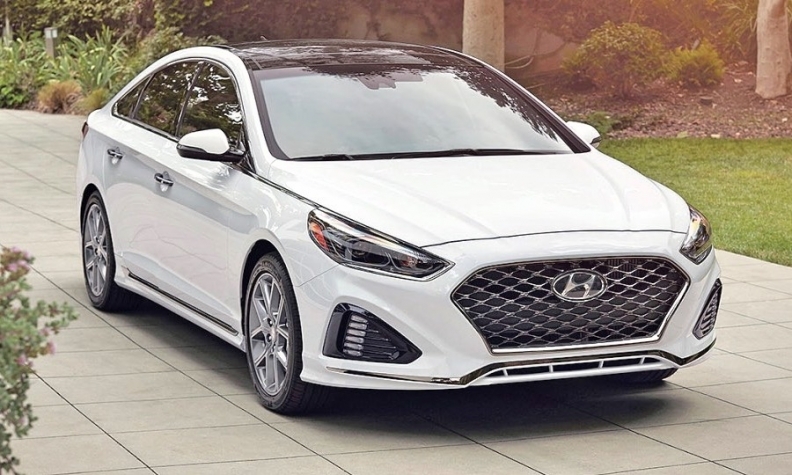 Hyundai locked in on users based on purchase behavior, going after audiences such as sedan loyalists, those with an affinity for the Sonata and owners of competing models from Nissan, Honda, Chevrolet and others. Digital ad firm Eyeview executed the video rollout in the fourth quarter of 2017, creating 20 spots using rolling footage from Hyundai that touted various Sonata features while making head-to-head comparisons with rival models. Owners of specific models would see ads that spoke directly to them. For instance, a video targeting a Camry owner might show that the Sonata has a hands-free trunk opener while Toyota's sedan doesn't. Or a Volkswagen Passat owner could see a video saying the Sonata has ventilated front seats, a comfort the Passat doesn't have. While the video blitz didn't target specific age groups, the segments could be skewed in a particular direction. The sedan loyalist audience, for example, would likely skew older because the group was defined as people who had already bought multiple sedans, said Brian Diamond, vice president, group media director of Canvas Worldwide, an agency that is the product of a joint venture between independent agency Horizon Media and Innocean, Hyundai's agency. The campaign reached 5.4 million households and was credited with 2,227 new Sonata sales during the measurement period. Data company Oracle, the source of the audience data, was able to track the buy-through rates. "This program began with a question: Who are the real people who are going to buy those cars — not at a high level, not at a data level, but actual households?" Diamond said during the J.D. Power Automotive Marketing Roundtable here last month. "These are the people most likely to buy." He added, "Great stories don't begin with great tactics. They begin with an understanding of who we are telling that story to." The same principle applies even to large-volume products that might appeal to multiple customer segments. Lexus' agency, Team One, partnered with Eyeview this year to deliver ads for the RX L crossover to travel enthusiasts and corporate moms. The campaign consisted of 18 videos that confronted a key question: Would consumers respond better to ads that are lifesyle-themed or vehicle-focused? Eyeview built ads highlighting the different life stages of each audience. To reach corporate moms, the videos depicted a woman in a business suit in one scene, while having her push a stroller in another. For the traveler, the ads showed a man with a surfboard, taking photos and walking with his family. Eyeview mixed up the sequencing of those scenes in multiple versions of the videos to see how different arrangements would influence viewers. Lexus learned during the campaign that the lifestyle videos outperformed vehicle-focused spots, driving higher engagement and longer viewing times. Automakers can do themselves a disservice by developing too many distinct audiences for a campaign, but then running only one video to reach them all, said Ben Sarmiento, Eyeview's vice president of auto sales. The Sonata campaign, Diamond said, wasn't about playing the long game of brand building. The goal was more immediate. "Our perception is that people will scroll and watch the video and then take action. We're making specific customizations for an audience that are subtle," Diamond said, adding later: "The goal here is to get the right audience to see one very specific point and hit them with the right frequency."